Funding has been granted to provide the necessary materials for six girls to advance their education for the next four years. We would like to be able to assist more girls and provide for additional years. Donations to Girls Too will provide that opportunity. In addition two girl children who only had a single parent, keen learners but again were at the risk of dropping school because the parent was not able to meet the schooling expenses limited to school uniforms, school books, beddings & toiletries, travel expenses and boarding fees. 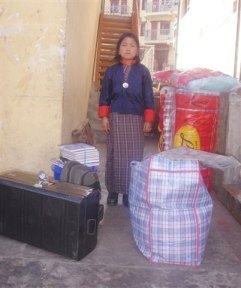 Dorji calledl the girls to Thimphu and spend a day shopping for school uniforms and necessities as outlined in the plan & budget. 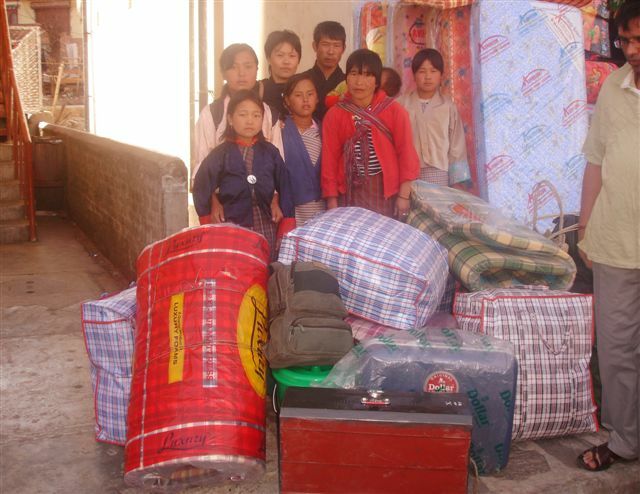 This way Namgay and Dorji are able to teach them the importance of budgeting, buying only what is important and necessary and keeping account of expenses so that from 2010 they will know how the system works. She also showed them around Thimphu, invited them to lunch ather home, introduce them to her children and also took the girls to visit places in Thimphu. You are encouraged to go to Namgay and Dorji's Facebook page for more photos. Once at Generosity in Action Donate page click on "Girls too." Note: there is a 3% transaction fee to cover credit card fees, bank fees, and other processing costs.